Marco Rubio: Marco Rubio says ,"The People will Decide"
Former Florida House Speaker Marco Rubio speaks to The Ledger.com in this 10 minute interview. 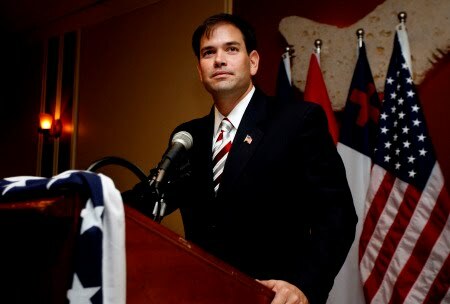 Rubio covers many important subjects including the war on terror, budget, Charlie Crist, and how the "people" will decide the winner of the race for Florida's US senate seat being vacated by Mel Martinez. Rubio is very passionate about saying, "We will Win". He has been gaining huge grass roots support and feels that Conservatives will help him beat current Gov Crist in the primary battle. He stresses that the "establishment" will not decide this election. Rubio has virtually annihilated Crist in half a dozen straw polls during the past couple of months. Many of those polls were held in large counties throughout Florida.